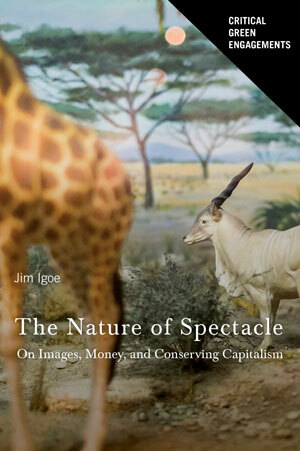 The Nature of Spectacle is a book about capitalism and the environment. Its central concern, and unique perspective, is with the ways in which capitalist worldviews have become environmental over time. Specifically, it explores how money and exchange value are sensually enhanced by images and spatial arrangements, so that they can even be explicitly represented as inherent to nature. The creation of American nature parks, in the late 19th century, accompanied an explosion of exchangeable consumptive experiences, in the form of elaborate exhibitions and fairs. Over the course of the 20th century, touristic nature destinations proliferated as a particular type of exchangeable consumptive experience, bolstered by nature films and television. By the turn of the millennium, productions of spectacular nature collided with increasing public awareness that consumerism and economic growth seem implicated in a socio-economic crisis that threatens our collective future. The first part of the book explores these transformations in northern Tanzania. The creation of the Serengeti National Park, in the years following WWII, entailed the abstraction of landscapes into images, which generated money, which in turn could be used to further transform landscapes according to ideals of spectacular nature. This was accompanied by promises to newly independent governments that tourism would become the basis of their national economies, all of which was spectacularly conjured into existence. By the late 20th century, refinements to these techniques, in relation to the rise of interactive media, enabled the production of nature “cyberscapes,” at once actual and virtual, in which economic growth and ecosystem health could appear optimally aligned. These productions reflect and support a global policy zeitgeist, in which financializing nature is cast as its salvation. It also figures in consumer interfaces, through which the swipe of a plastic card or the push of a virtual unbutton appear to initiate a chain of events, ending in the protection of an acre of tropical rainforest or a family of arctic polar bears. These are the focus of the latter part of the book. I have kept this book concise, to be read from cover-to-cover with relative ease. Chapter 5 (on policy) and Chapter 6 (on green consumerism) are both designed so that they can be read on their own. My understanding of nature that is developed in the book is fundamentally informed by anthropologist Tim Ingold’s argument in Perception of the Environment (2000) that “the world can exist as nature only for a being that does not belong there” (p. 20). This point is highly consistent with popular presentations of nature as a panoramic spectacle, existing somewhere distant and exotic, and best appreciated at a distance. 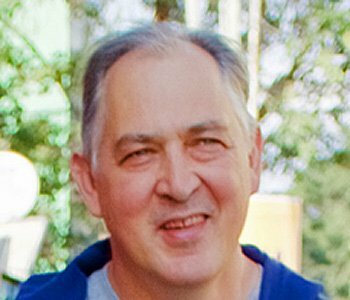 At the end of his groundbreaking essay, “Getting Back to the Wrong Nature (1994),” environmental historian William Cronon opines that relating to nature in these terms will not serve us well in finding meaningful solutions to the pressing environmental problems in which we are all entangled. My book also takes up that point through explorations of the ways in which spectacular nature has been refined to appear and feel like the most promising solution to these very problems.